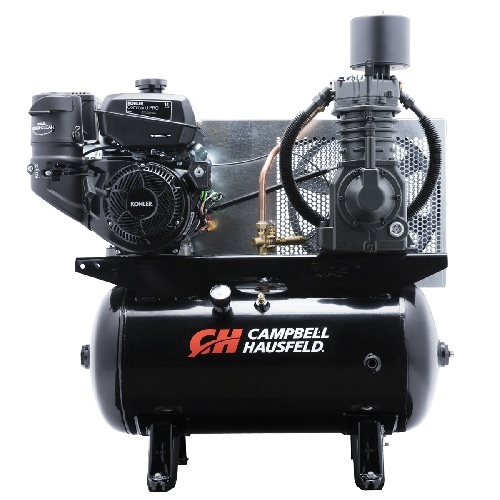 The Campbell Hausfeld 30-gallon, 14 hp, two-stage air compressor (CE7002) with Kohler engine is perfect for a work truck or worksite location without electric power. 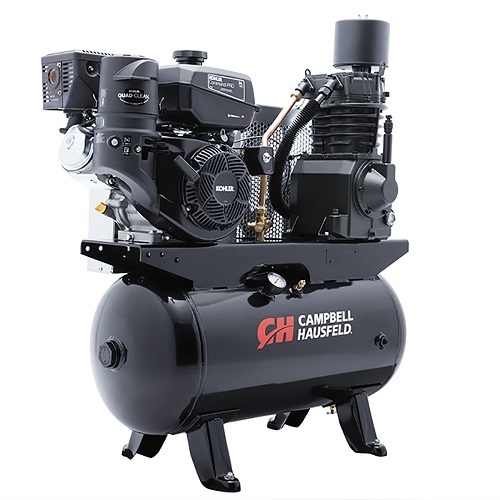 This air compressor has a high air flow of 26.1 CFM @ 90 PSI to power multiple, high-demand air tools. 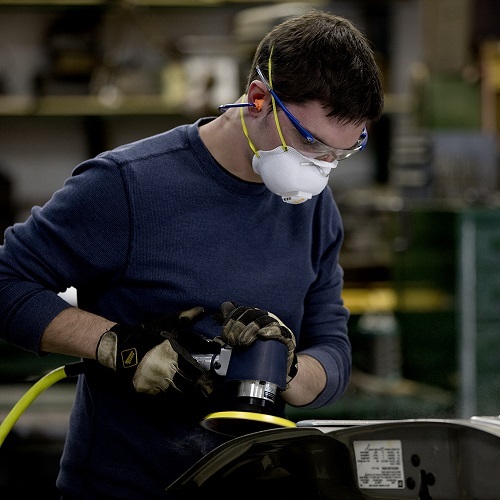 It features a long-life, cast-iron, two-stage pump that’s designed to deliver more than 15,000 hours of operation. The pump head and valve plate feature an advanced design with Viton(r) high-temperature O-rings for superior high-pressure sealing when compared to paper gaskets. For smooth, low-vibration operation, the crankshaft is fabricated of ductile iron and optimally balanced.